The search is performed in the title, description, and tags. 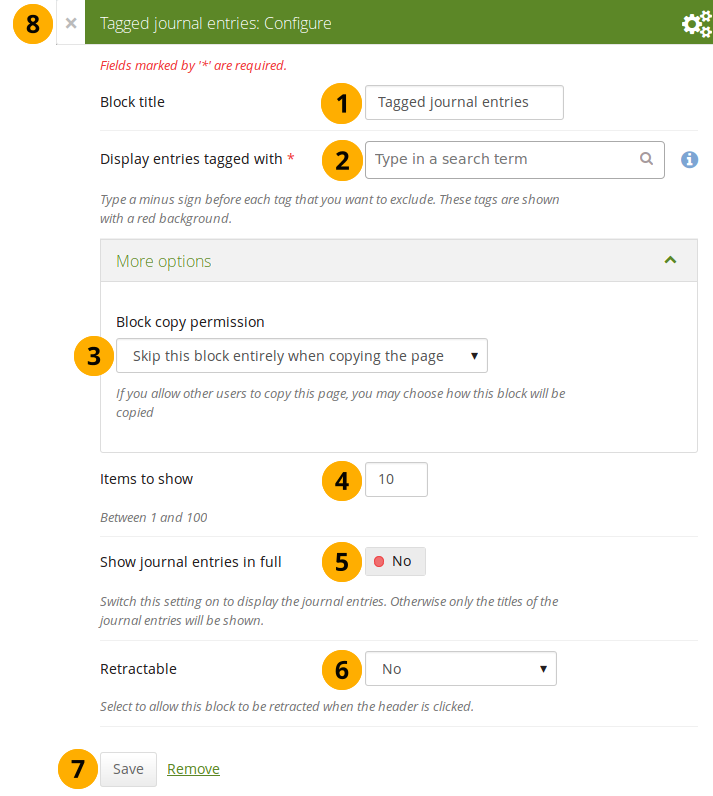 When you want to choose which tags to use in your block, you can select multiple tags to include or exclude. 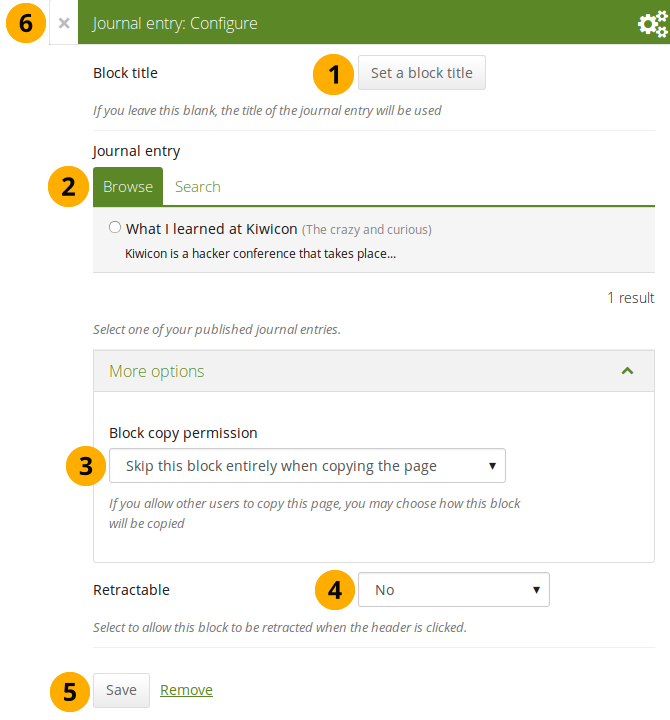 That way you can be very flexible in which entries to display in your block and which ones to leave out. 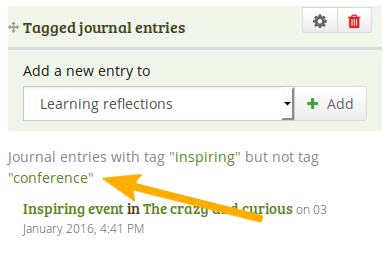 You must have tagged your journal entries beforehand. 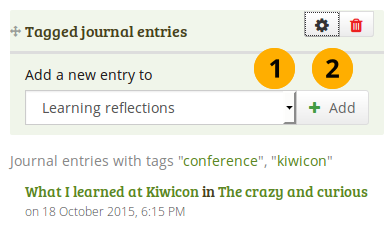 If you haven’t done that, please go to your journal entries and tag them. 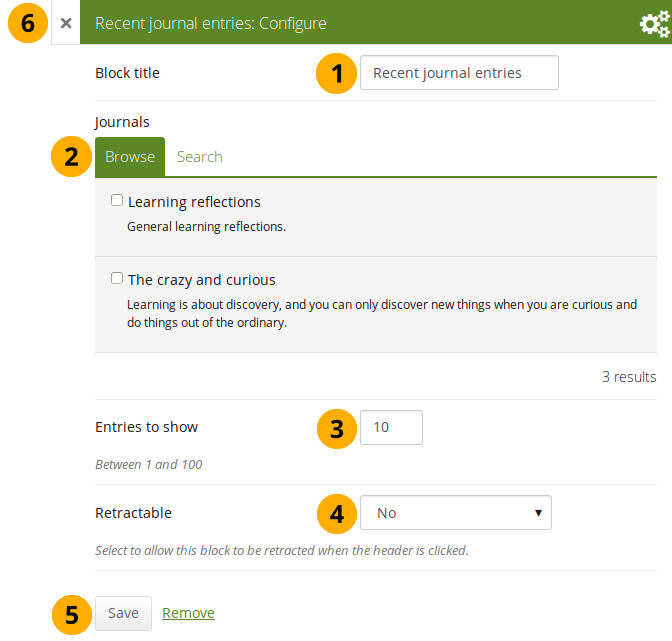 You can find them under Main menu → Create → Journals.